Opportunity to Join the Bingo Team! Your commitment: Five hours (11:30 a.m. to 4:00 p.m.) one day a month ten times each year. 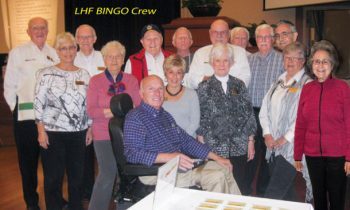 Bingo Day is usually the third or fourth week of the month on a Tuesday, Wednesday, or Thursday. We invite you to join a roomful of smiling people, volunteers and Bingo players alike, to support Lincoln Hills Foundation’s services to our great community. Interested? We hope so! Please use the form below or contact our Bingo Chair Carolyn Kuczynski at 916-580-9875.